will decide the future of net neutrality at a meeting on May 15. Amazon, Netflix, Facebook, Google and a number of other tech giants are urging the Federal Communications Commission (FCC) to support true net neutrality and an open Internet, and reject cable company-supported plans to create special pay-to-play “closed Internet” fast lanes. “According to recent news reports, the Commission intends to propose rules that would enable phone and cable Internet service providers to discriminate both technically and financially against Internet companies and to impose new tolls on them. If these reports are correct, this represents a grave threat to the Internet,” the coalition of Internet giants wrote in their open letter [PDF]. Under the open Internet concept of net neutrality, you, the end Internet user, pay a fee to your cable provider for equal access to the websites and services you’d like to visit or use. In a closed Internet concept, you’ll continue to pay for your Internet use. But the sites you visit will start having to pay your cable company, too, lest they find their connection speeds throttled. That effectively creates a two-tiered Internet, where only the largest sites (and those sites favored by cable providers) can afford to offer high-speed access. The U.S. had operated under an open Internet until January 14, 2014, when a D.C. circuit court ruled in favor of Verizon in its lawsuit against the FCC. The court stated that the FCC does not have the authority to enforce net neutrality. Since then, streaming video site Netflix has signed costly agreements with Verizon and Comcast after the companies began reducing connection speeds to the streaming video site. “Netflix believes strong net neutrality is critical, but in the near term we will in cases pay the toll to the powerful ISPs to protect our consumer experience,” explains Reed Hastings, chief executive officer for Netflix. Ultimately, these "tolls" caused by a closed Internet will be passed on to customers. 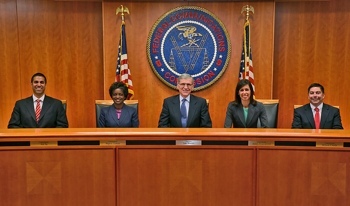 The FCC will hold an open meeting on May 15 to consider a Notice of Proposed Rulemaking to “protect and promote the open Internet.” FCC Chair Tom Wheeler had been widely expected to use the occasion to announce new pay-to-play closed Internet fast lanes under the guise of net neutrality, though opposition from fellow FCC board members puts that outcome in doubt.